Jafar Panahi, the renowned Iranian filmmaker and a member of the Academy, says Asghar Farhadi’s “The Salesman” deserves to be awarded an Oscar for Best Foreign Language Film regardless of who calls the shots in the US political arena. Jafar Panahi, a member of the Academy, said in a Farsi article in Iran newspaper that the country’s official submission to the Academy Awards is head and shoulders above numerous other films from around the world which were not nominated for the prestigious awards. The presence of a national football team in the World Cup is regarded as a credit, per se. This simple explanation could help us realize the importance of Iranian cinematic productions taking part in prestigious international festivals. The presence of Iranian films in different sections of creditable festivals, including the Cannes, Venice, Berlin, Oscar, etc., is very significant in its own right regardless of whether or not the film has won awards. It is a great credit to be chosen from among large numbers of films around the world to take part in international festivals. And the significance of such events will become more evident if the participating films win awards as well. The Iranian film “The Salesman” has been nominated for the 2017 Academy Awards. This is a great honour for the Iranian cinema. This is a sense of pride by and of itself, and has nothing to do with the political atmosphere in the US. Irrespective of who has assumed power as the US president, Asghar Farhadi’s latest film deserves to receive an Oscar. Of course, there is no denying that the 89th Academy Awards ceremony is held at a time when a restricted climate is taking shape in America in the wake of Trump’s coming to power. So, there is a fear of return to the McCarthy era and experiencing a situation similar to the one at the time. 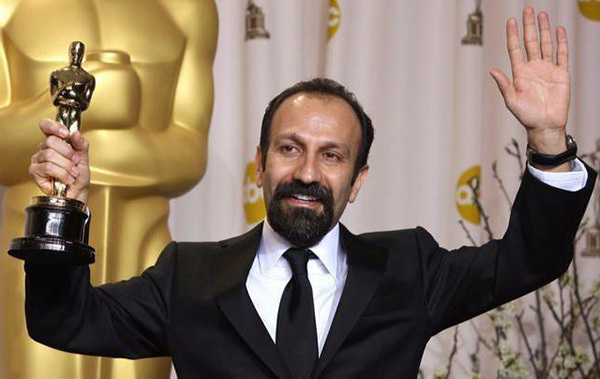 Under such circumstances, Asghar Farhadi’s wise decision not to attend the Academy Awards event is praiseworthy. First, a firm decision to boycott the ceremony, followed by the introduction of two people representing Iran. The introduction of Anousheh Ansari and Firouz Naderi at the event was a strong show of Iranians’ potential and capabilities. The move has a message, not only to Trump, but to the whole world that Iranians’ true colours are a far cry from what is said about them. It shows rumours flying around against Iranian people are unfounded. Once again I repeat that Asghar Farhadi’s “The Salesman” deserves a second Oscar award [for him], regardless of whether Trump or somebody else has taken the helm of affairs in the US. We can’t wait to see the moment when the movie wins the award to bring honour upon all those working in Iran’s cinema industry. That would amount to a national celebration. Of course, the film having advanced to such a stage is an honour per se, irrespective of whether or not it would receive the award.